The summary done below by Thomas Ice steps back to view the work of the Bible as the amazing work that it is. Once you begin to study it both in-depth as well as tying together the story you see the promise of the “rapture” or snatching away told throughout. One of the knocks against the Rapture is that it is escapism. I have never understood this as I feel it prepares the believer for the exact opposite. Procrastination is not an option with imminence. 13 Therefore, [a]prepare your minds for action, [b]keep sober in spirit, fix your hope completely on the grace [c]to be brought to you at the revelation of Jesus Christ. 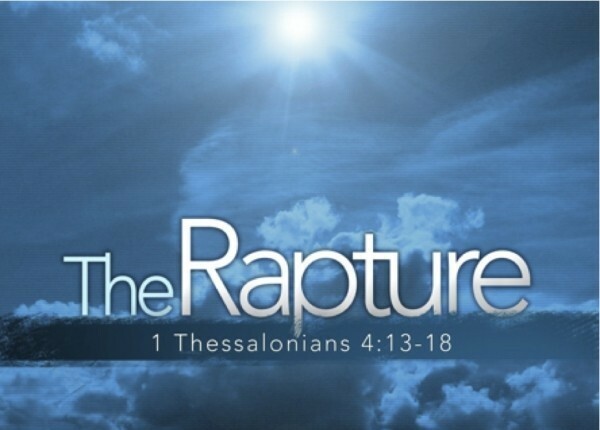 The Rapture, “…my blessed hope…” (Titus 2:13), is one of the major reasons why we gladly live for Christ today and prioritize our life in view of eternal values. Please take the time to read through the article below in full. It is a blessing and thought provokingly wonderful. When one sits back and contemplates the great truths contained in God’s plan for history as revealed in the Bible, it is truly amazing to contemplate such reality. A partial list would include the following: God’s creation out of nothing; God’s creation of angels and their role in history; man’s fall into sin; Noah’s Ark and the Flood; the tower of Babel; the call of Abraham; the Exodus and foundation of the nation of Israel; the up-and-down history of Israel, Christ’s first coming; His death, resurrection, and ascension; the founding of the church; and Christ’s promise to return to take His bride to heaven with Him at the rapture. These real, historical events are greater than any fictional account that the most creative moviemaker could conceive. So one day the Father will tell the Son to go and get His bride and at that moment every living believer, no matter where they may be, will be caught up into the clouds to meet the Lord, in order to be taken to heaven. This will truly be an amazing event. Romans 11:25 indicates that the trigger point for the rapture will be when “the fullness of the Gentiles has come in.” The leading Greek lexicon of our day says the noun translated fullness in this passage means “that which is brought to fullness or completion; full number.”  Also, Acts 15:14 says, “Simeon has related how God first concerned Himself about taking from among the Gentiles a people for His name.” Thus, when that last Gentile convert comes to faith in Christ, the Church, the Body of Christ, will be complete and the rapture will take place. The full number of Gentiles will have come in and then our Lord will turn His attention to the salvation of all Israel (Rom. 11:26) during the subsequent tribulation period.